The Story: Be quiet or they'll eat you. I enjoyed this movie but not because it's super scary. It's not. 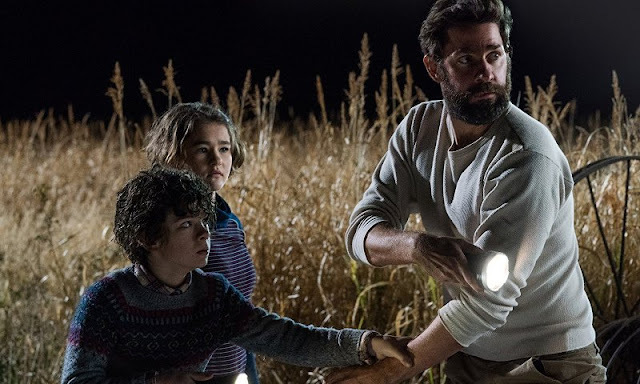 John Krasinski's second directorial effort relies more on tension than jump scares and, in that respect it is highly effective. 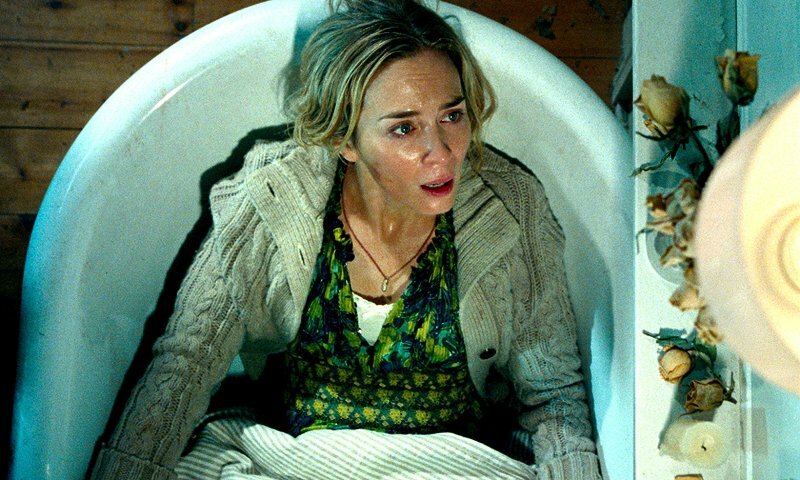 There are a few scenes, mainly the ones where Emily Blunt's character is stuck on her own having to deal with creatures that only know you're there if you make a sound, that will definitely have you on the edge of your seat. Outside of that, the story is fairly predictable and the characters tend to make very bad decisions which often puts them in the path of the crazy looking creatures. The creatures themselves look really cool and more than creepy enough to either scare your socks off or have you in wondrous awe of how cool they are depending on your likes and dislikes of the horror genre. It's never said where they come from so any potential backstory is left as a mystery never to be solved, unless there's a sequel, which there probably will be. One of the other things I really liked is how Krasinski kept things relatively low key rather than going with an over the top, CGI fueled climax and there are just enough hints at a larger world that leaves you wanting to know more. A Quiet Place is a good movie that does what it sets out to do I just wish I had enjoyed it more than I did. Emily Blunt is fantastic, as she always is, and there are a couple of really good moments, but not enough to put it over the top as a truly great horror film.